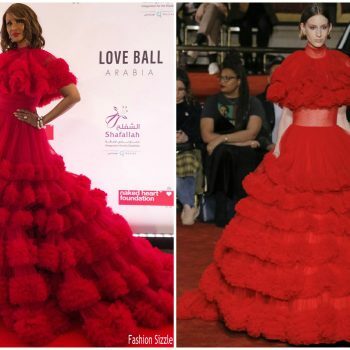 Iman attended Love Ball Arabia In Aid Of The Naked Heart Foundation And Al Shafallah on Friday (March 29), in Doha, Qatar. . She wore a red Christian Siriano Fall 2018 gown . 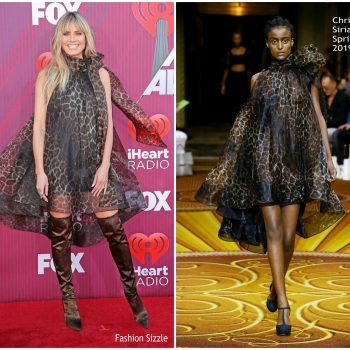 Heidi Klum attended the 2019 iHeartRadio Music Awards on Thursday (March 14) in LA. 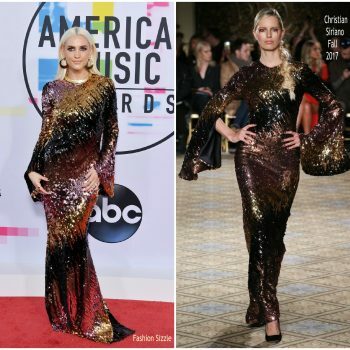 She wore an animal print Christian Siriano Spring 2019 trapeze-style dress styled with animal print Le Silla ‘Eva’ boots. 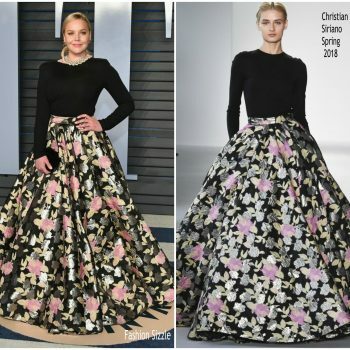 Rachel Brosnahan attended the 34th Annual Artios Awards on Thursday (January 31) in New York City. 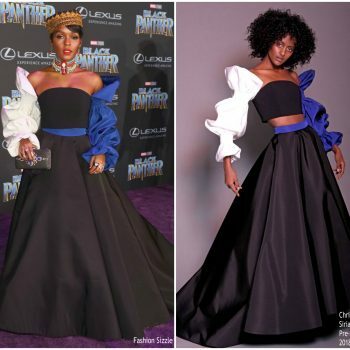 She wore a blue Christian Siriano Pre-Fall 2018 dress . 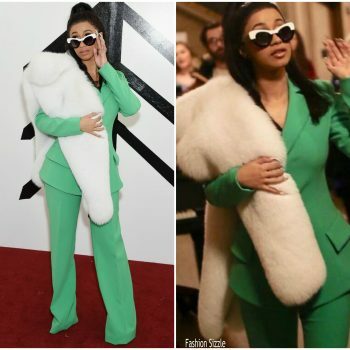 Susan Kelechi Watson was in attendance at the 2019 SAG Awards on Sunday (January 27) in LA, She wore a yellow custom Christian Siriano ball gown. 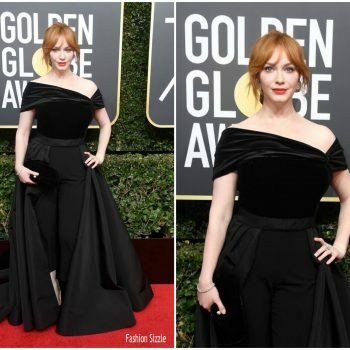 Allison Janney attended the 2019 Golden Globe Awards on Sunday (January 6) in Beverly Hills, California. 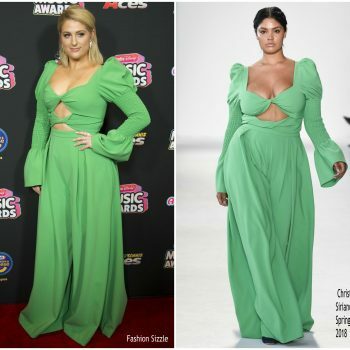 She wore turquoise Christian Siriano Spring 2019 gown. 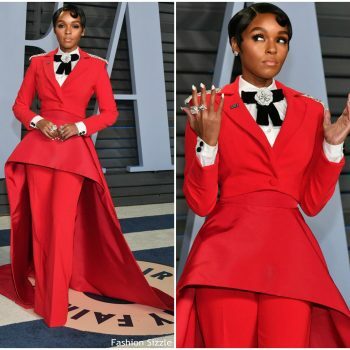 Rachel Brosnahan was in attendance today (December 5th) at the 2019 BAFTA Los Angeles Tea Party at the Four Seasons Hotel in LA. 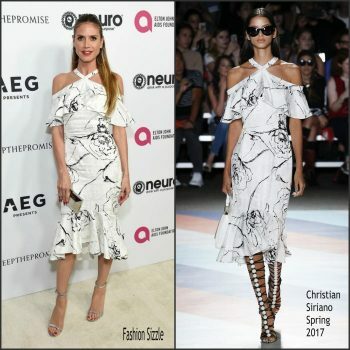 She wore a Christian Siriano Spring 2019 dress. 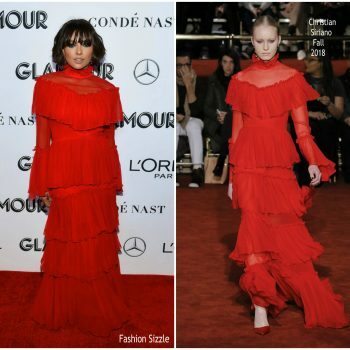 Kat Graham was in attendance at the o the 2018 Glamour Women of the Year Awards: Women Rise eventon Monday (November 12) in New York City.. She wore a red Christian Siriano Fall 2018 gown. 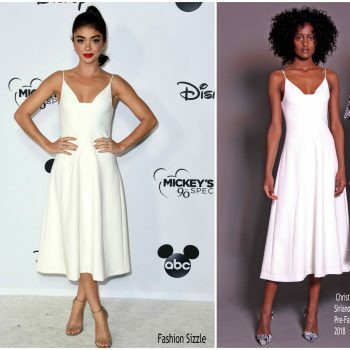 Sarah Hyland attended the Mickey’s 90th Spectacular celebration held at Shrine Auditorium on Saturday (October 6) in Los Angeles. 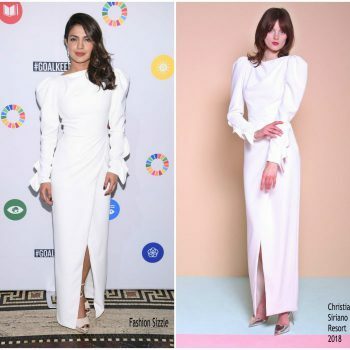 She wore a white Christian Siriano Pre Fall 2018 dress. 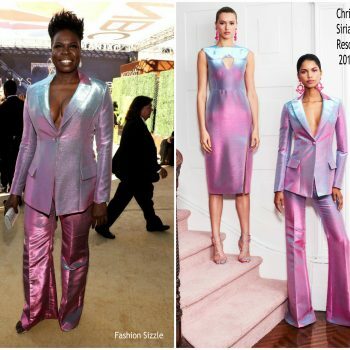 Leslie Jones was in attendance at the 2018 Emmy Awards on Monday (September 17) in LA. 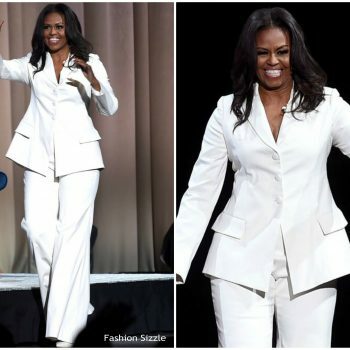 She wore a ChristianS iriano Resort 2019 gradient tuxedo. 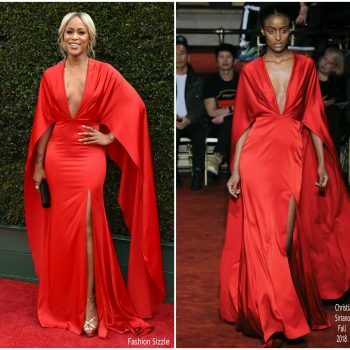 Regina King wore a neon Christian Siriano Spring 2019 custom strapless gown to the 2018 Emmy Awards. 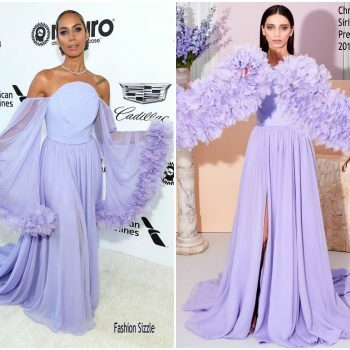 Angela Sarafyan wore a Christian Siriano Fall 2018 embellished ball gown to the 2018 Emmy Awards. 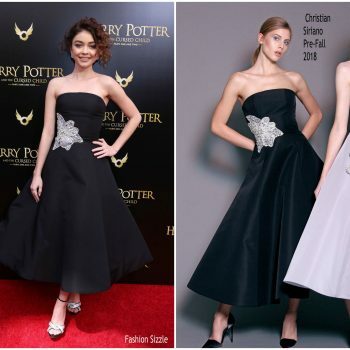 Sarah Hyland was in attendance atthe opening day of ‘Harry Potter And The Cursed Child’ on Sunday (April 22) in New York City. 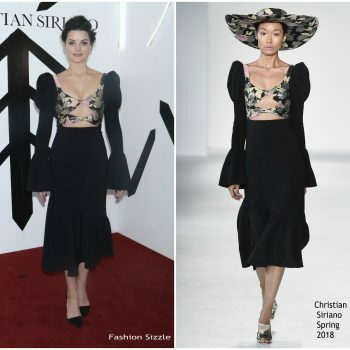 She wore a strapless Christian Siriano Pre-Fall 2018 dress. 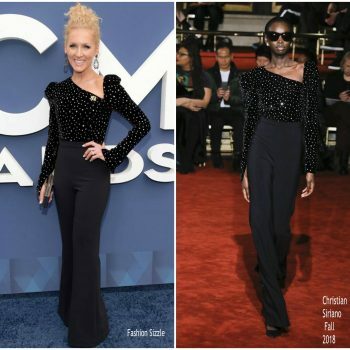 Kimberly Schlapman attended the 2018 Academy of Country Music Awardsheld on Sunday (April 15) in Las Vegas, Nevada. 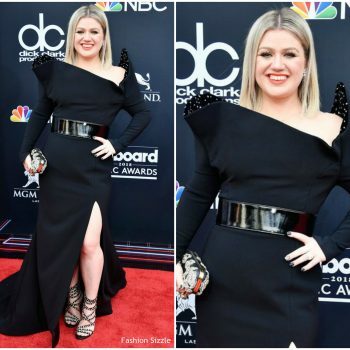 She is wearing a pair of black Christian Siriano Fall 2018 design. 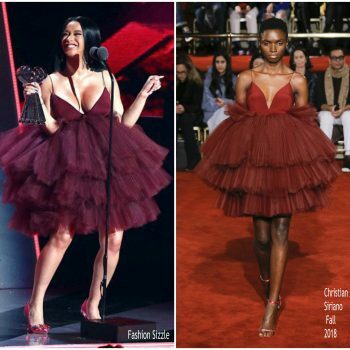 Following her performance at 2018 iHeartRadio Music Awards Cardi B changed into Christian Siriano Fall 2018 dress. 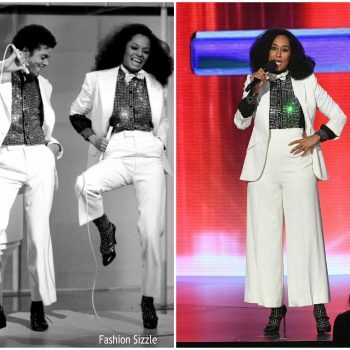 while accepting her award for Best New Artist. 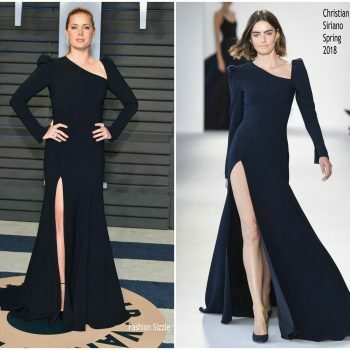 Amy Adams wore a navy blue Christian Siriano Spring 2018 midnight gown with a high slit to the 2018 Vanity Fair Oscar Party. 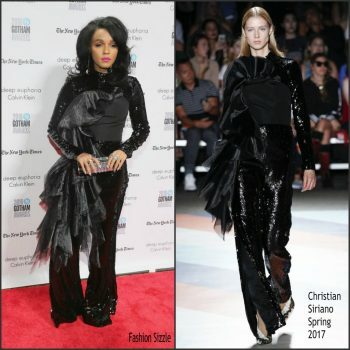 Along with Cardi B , Jamie Alexander was in attendance at the Christian Siriano Fashion Show at NYFW in New York 02/10/2018 She is wearing a Christian Siriano Spring 2018 design. 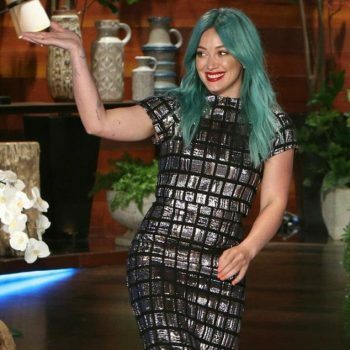 Katy Perry attended a lunch celebrating Minnie Mouse’s star on the Hollywood Walk of Fame along with the launch of the Disney x Coach collection, held at LA’s Chateau Marmont on Monday (January 22). 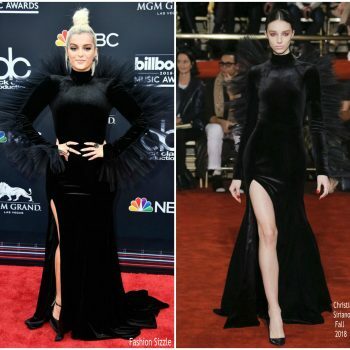 Jaimie Alexander was in attendance at the 2018 Producers Guild Awards in Los Angeles on Saturday (January 20). 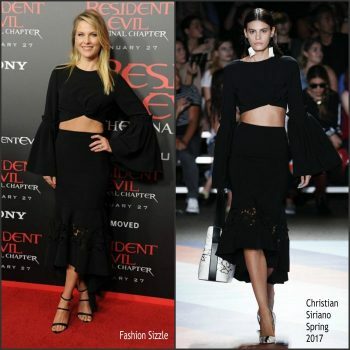 She wore a black and navy Christian Siriano Spring 2018 gown. 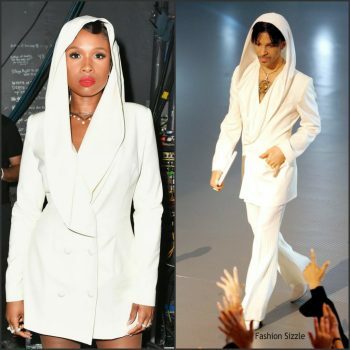 Mary J. Blige was in attendance at to the 2018 NAACP Image Awards. 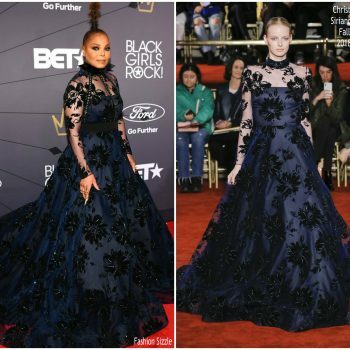 She wore a black Christian Siriano Pre-Fall 2018 velvet gown with embroidery. 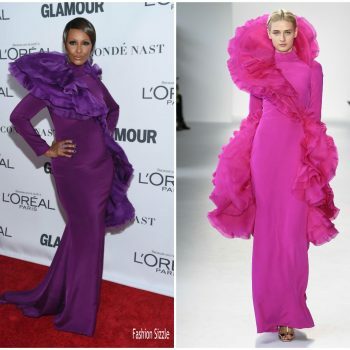 Legendary supermodel Iman was in attendance at the 2017 Glamour Women of The Year Awards on Monday (November 13) in Brooklyn, New York. 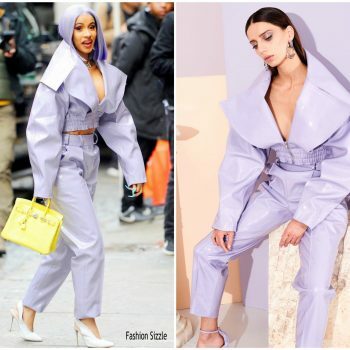 She wore a purple Christian Siriano Spring 2018 with dramatic ruffles. 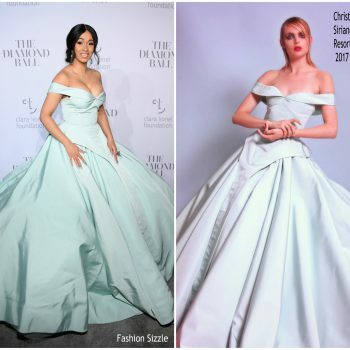 Cardi B. attended the 3rd annual Annual Diamond Ball benefiting The Clara Lionel Foundation on Thursday (September 14) in New York City, She wore a Christian Siriano Resort 2017 gown. 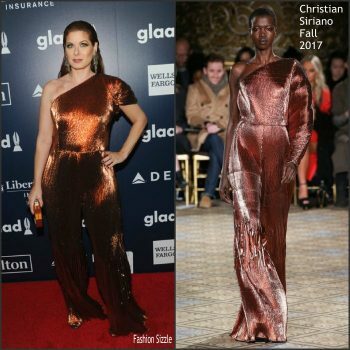 Debra Messing was in attendance at the 28th Annual GLAAD Media Awards on Saturday (May 6) in New York City. 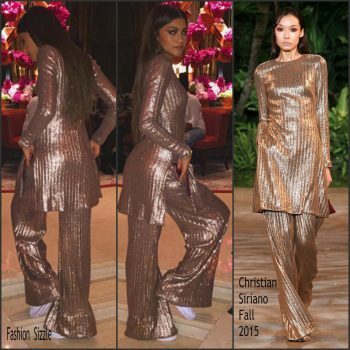 She wore a bronze Christian Siriano Fall 2017 jumpsuit. 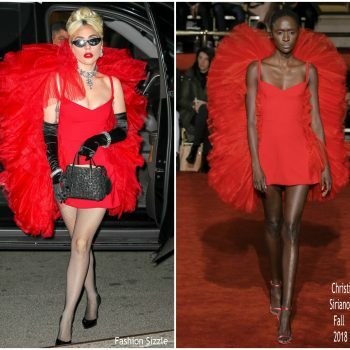 Coco Rocha was in attendance at the 11th Annual DKMS Big Love Gala in New York City on Thursday (April 27). 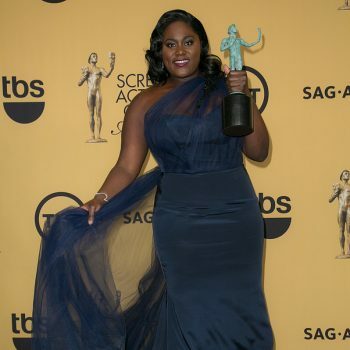 She wore a silver and black Christian Siriano bustier gown. 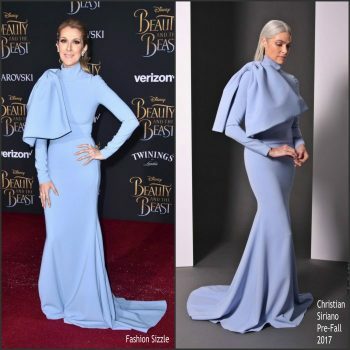 < Celine Dion attended the Beauty and the Beast premiere on Thursday night (March 2) at the El Captain Theatre in Los Angeles. 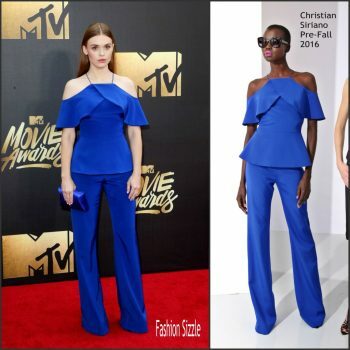 She wore a baby blue Christian Siriano Pre-Fall 2017 gown. 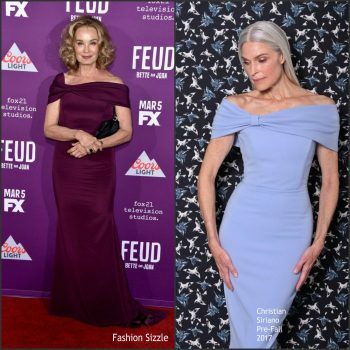 Jessica Lange attended FX Network’s “Feud: Bette and Joan” premiere at Grauman’s Chinese Theatre on March 1, 2017 in Hollywood, California. 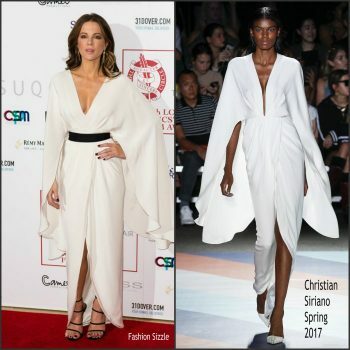 She wore a merlot Christian Siriano Pre-Fall 2017 gown ..
Kate Beckinsale was in attendance at The London Critics’ Circle Film Awards in London on Sunday January 22, 2017. 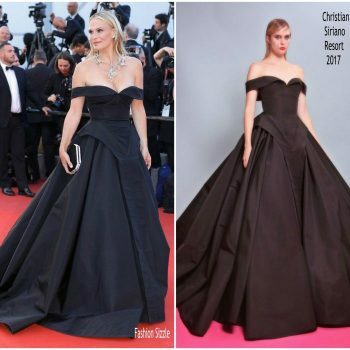 This Actress of the Year winner wore a white Christian Siriano Spring 2017 dress. 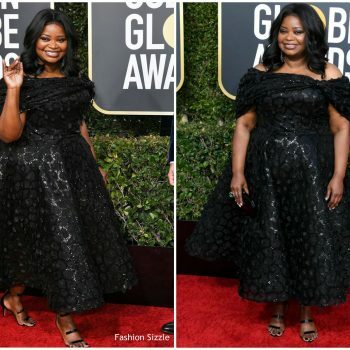 Angela Bassett was in attendance at the 2017 Golden Globes on January 8, 2017, at The Beverly Hilton in Beverly Hills, California. 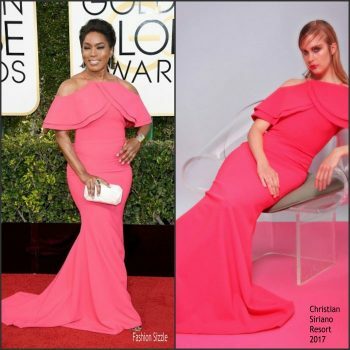 She wore a Christian Siriano Resort 2017 pink off the shoulder gown. 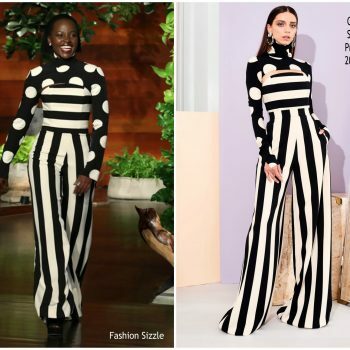 Viola Davis attended her unveiling of her Hollywood Walk of Fame in Hollywood, California January 5, 2017. 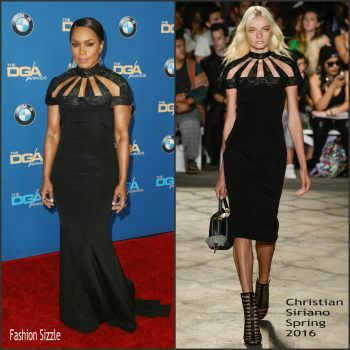 She wore a Christian Siriano Spring 2016 dress styled with black Via Spiga pumps. 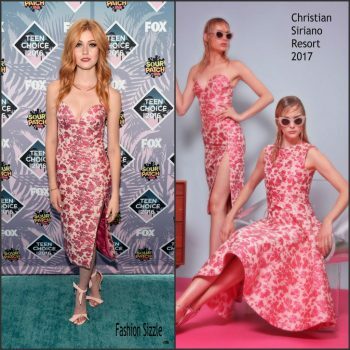 Katherine McNamara attended the 2016 Teen Choice Awards held at The Forum on Sunday (July 31) in Inglewood, California. 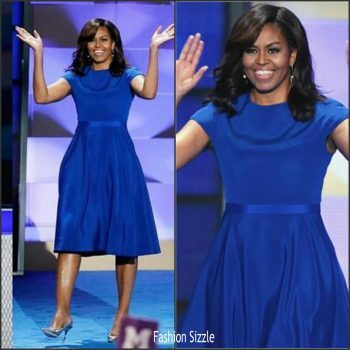 First Lady Michelle Obama was in attendance and gave amazing speech at the 2016 Democratic National Convention on Day 1 at the Wells Fargo Center in Philadelphia, Pennsylvania last night July 25, 2016. 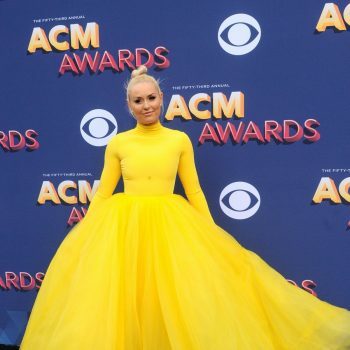 Actress Jaimie Alexander attends the 'Blindspot' Press Line during Comic-Con International 2016 at Hilton Bayfront on July 23, 2016 in San Diego, California. 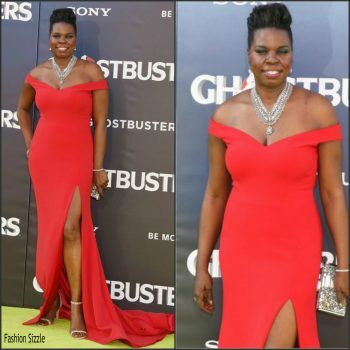 Leslie Jones attended the premiere of Ghostbusters at the TCL Chinese Theatre in Hollywood, CA On Saturday July 9 ,2106. 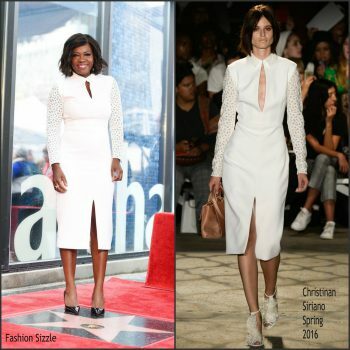 Actress Selma Blair arrives at the 15th Annual Chrysalis Butterfly Ball on June 11, 2016 in Brentwood, California. 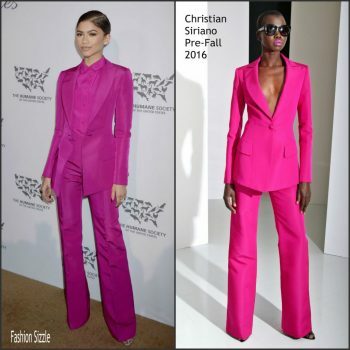 Zendaya in Christian Siriano – 2016 United States Humane Society “To the Rescue! 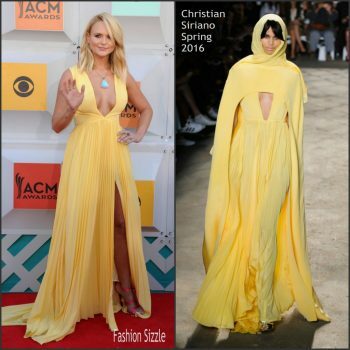 Jaimie Alexander was in attendance at the 2016 White House Correspondents’ Dinner held at the Washington Hilton on Saturday (April 30) in Washington, D.C.
Miranda Lambert attended the 2016 Academy of Country Music Awards at The Forum on April 3, 2016 in Inglewood, California. 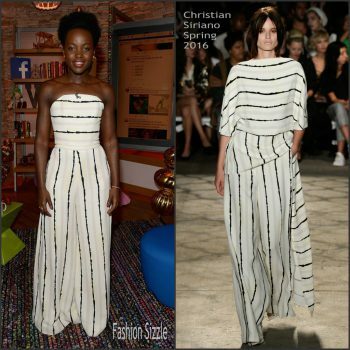 Highlights from the Christian Siriano Fall 2016 Ready-to-Wear New York Fashion Week Presentation. 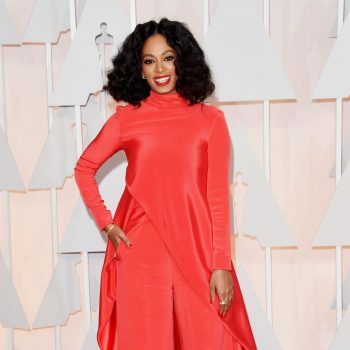 Lady Gaga attended the 2016 Academy Awards Nominee Luncheon on Monday afternon (February 8) in Beverly Hills, Calif. 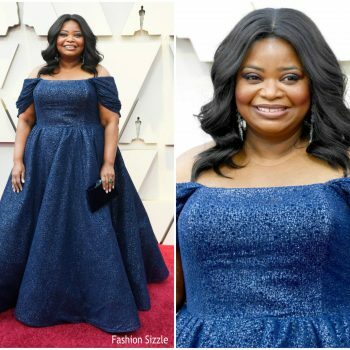 The entertainer is wearing a sleeveless custom Christian Siriano silk crepe gown that has an open-back.